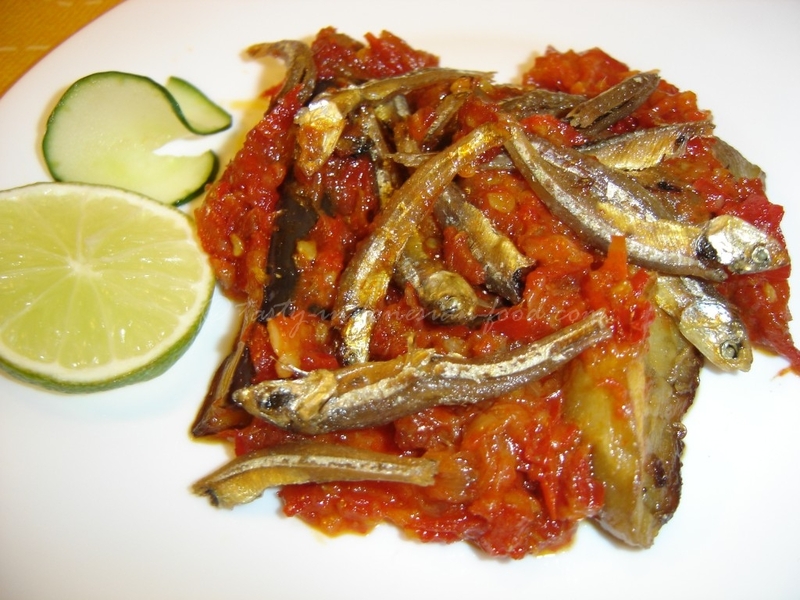 Balado terong is one of famous sambal recipes in Indonesia. The word ‘balado’ is mostly found in Padang specialities which refer to spicy dishes. There are many ways to make Terong Balado, yet the basic spices are the same, only sometimes you can add dried anchovies as well to make it more delicious. 1. Cut the eggplant into long quarter-round strips. Heat 2 vegetables oil then fry the eggplants until they are soft. Set aside. 2. Blend or grind the spice paste ingredients until it forms a coarse paste, then fry until the liquid is reduced. Pour the sauce over the eggplant and serve immediately.